We’re super-excited today to talk about Getting Agile Results, the book and productivity methodology developed by JD Meier. We are huge fans of Agile Results – it takes a very different approach to planning, to working towards your goals and outcomes and for keeping your life in check when compared to traditional task or schedule-based time management methodologies. Getting Agile Results is the core text for learning about Agile Results. Why do we like Agile Results so much? It was developed by JD Meier from his work at Microsoft – within a large organization, and with the demands that that brings. You may have guessed from the name that there are similarities to Agile software development and there are – the use of iterations and cycles is a key component of Agile Results, but this is not to say that it is useful only to people in the software or technology fields. Anyone can pick up a copy, read it and implement it – in fact, we documented how we did it right here. The most striking thing about Agile Results is that it is one of the few productivity methodologies that helps you actually align your actions to your goals – and recognizes that some actions are more important than others. It’s a real-world system with realistic expectations, and little use for philosophy or “ideal situations”. It encompasses both principle-driven guidelines for how to do things, as well as systems, structures and workflows for specific situations. The recognition that the intersection of energy, technique and time is where great results are created. Who do we recommend Agile Results for? We’ve found that lots of people who have tried GTD or other task-based systems and feel that they’re too rigid, do very well with Agile Results. On the flip-side, we’ve found that it can be quite overwhelming for people who are new to personal productivity, as it is a very comprehensive system – there are a lot of moving pieces, and learning really needs to be small-chunked and the system learned and adopted bit-by-bit. One of the major shifts that comes with Agile Results (and any other good productivity methodology) is that the responsibility for your time shifts to yourself – interruptions, the unplanned and all. Some people aren’t quite prepared for this and we’ll admit, the idea can rub people the wrong way. The book itself is well-written, if a little repetitive as it uses iterations and cycles to introduce and then re-introduce and expand upon subject. It may take 1-2 read-throughs and a bit of thinking time to really wrap your head around it. We highly recommend taking notes or creating a mind map during your second read-through. 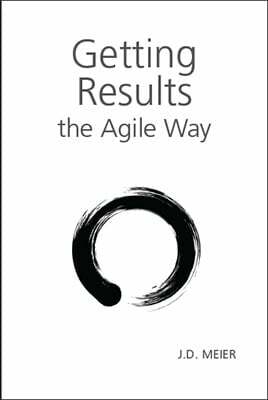 Getting Agile Results the book. You’ll want to get and read this first. At time of writing, the book is no longer available for free online (but available really inexpensively on Amazon). Asian Efficiency’s Agile Results articles. Our introductory series shows you how we set up and implemented Agile Results and then modified it to suit our particular way of doing things. JD Meier’s blogs – Sources of Insight and his personal blog. Straight from the man himself, thoughts about implementing and using Agile Results. The Agile Results Wiki. Bits and pieces about Agile Results. Whether you choose to adopt Agile Results in full, or eventually adapt it to suit your existing workflow and systems, the concepts within Getting Agile Results are a valuable addition and clarification for anyone who is interested in maximizing their productivity. In fact, it’s so good, I’m off to re-read it for the fourth time! Grab your own copy of Getting Agile Results here.